Inverewe Garden is an extraordinary sub-tropical garden on the craggy shore of Loch Ewe, surrounded by the glorious landscape of Wester Ross. Inverewe deserves its reputation as one of Scotland's great gardens, with a wide variety of exotic plants including Himalayan rhododendrons, Tasmanian eucalyptus and South African, New Zealand and Chilean plants. 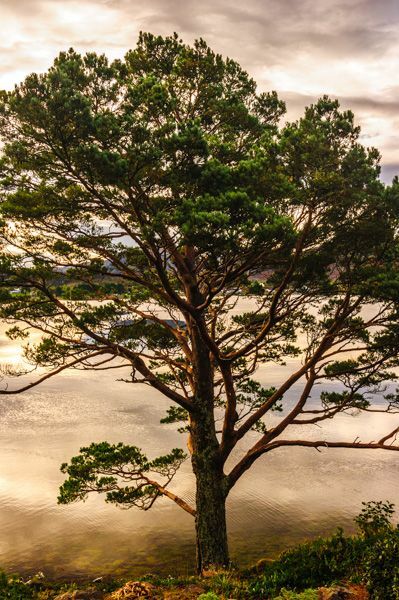 It is hard to imagine what this lush landscape must have looked like in 1862 when Osgood Mackenzie began to carve out a walled garden on the barren, rocky land beside the loch. Mackenzie was the son of Sir Francis Mackenzie, 5th Baronet and 12th laird of Gairloch. 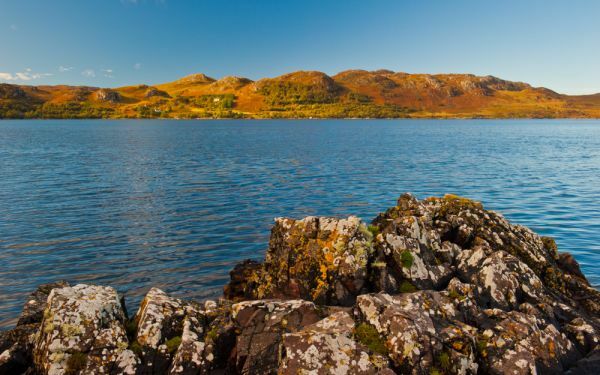 In 1862 his mother helped him purchase the estate of Inverewe and Kernsary, where he built a mansion in Scottish Baronial style and began to create a garden on a rocky headland jutting into Loch Ewe. 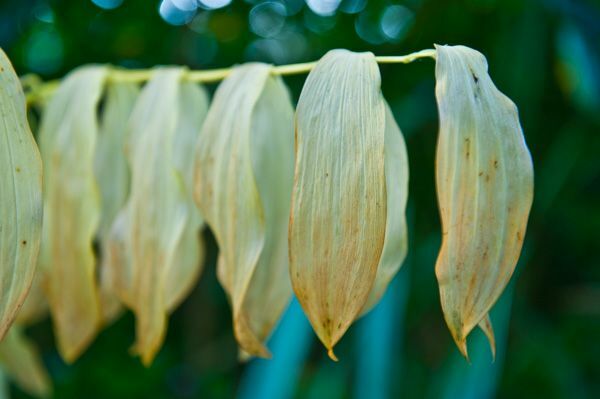 One of Osgood Mackenzie's strategies was to plant over 100 acres of woodland to screen the garden from the effects of the wind and help create a more moderate climate for the sub-tropical plants he hoped to introduce. 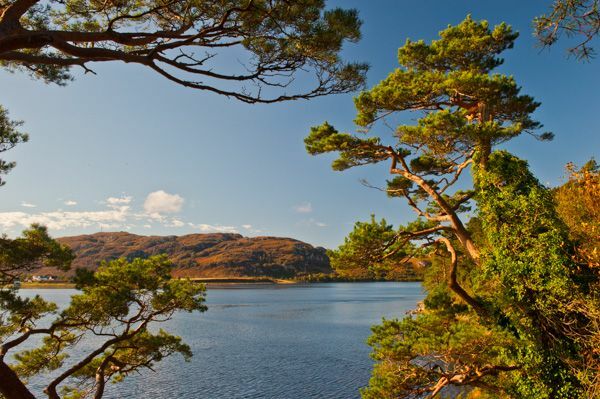 The micro-climate created by the lochside location, and enhanced by the trees and low stone walls, means that Mackenzie could realise his vision of creating a garden where sub-tropical plants from around the world would not just survive, but thrive. Warmed by the sea currents, the gardens at Inverewe look like they've been transplanted from some exotic location and deposited on Scotland's rough and craggy west coast. 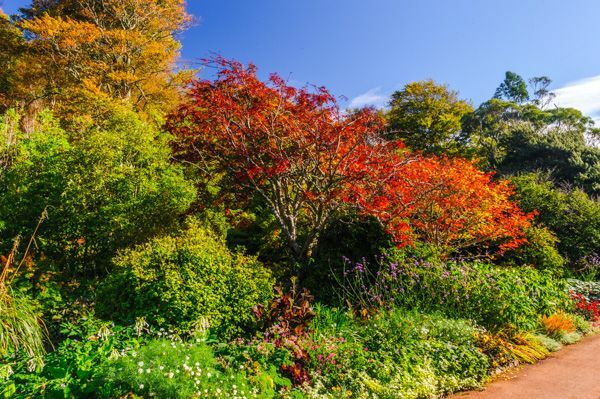 The garden is a riot of colour from spring through late autumn and is known for its displays of rhododendron, which begin blooming as early as January and maintain their colour for most of the year. The walled gardens are at their best in summer. Winter interest is provided by the colourful rhododendron bark as well as a variety of native and non-native trees. 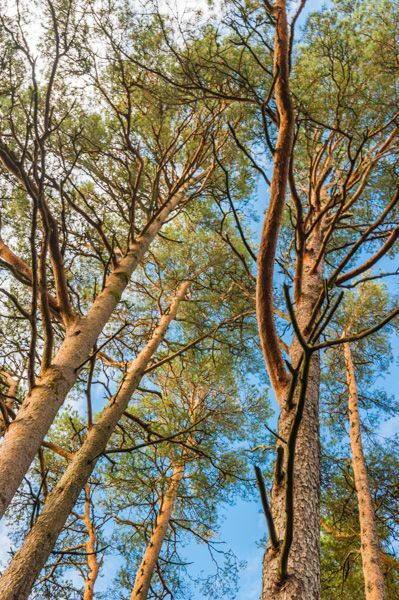 Mackenzie planted lush woodlands, with walking trails laid out through the woods. Over the course of 40 years, he created an unequalled collection of temperate plants from both the northern and southern hemispheres. In 1921 Mackenzie wrote his memoirs, entitled 'A Hundred Years in the Highlands', which provides a picturesque account of Highland life and society. Mackenzie died in 1922 and the Inverewe estate was inherited by his eccentric and visionary daughter Mary (Mairi) Sawyer. In 2016 Inverewe House opened its doors to the public for the first time after a 2 million pound restoration effort by the National Trust for Scotland. The house stands at the centre of the historic garden, where it was created by Mairi Sawyer. It was Sawyer who gifted the garden and surrounding estate to the Trust in 1952, along with an endowment to assure it future. 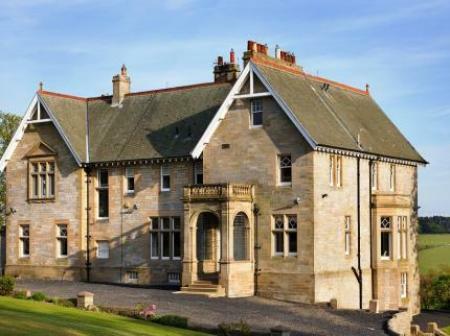 The original house built by Osgood Mackenzie was known as Inverewe Lodge. It was destroyed by fire in 1914 and had to be completely rebuilt, a process that took until 1936. The house offers a sensory experience, with visitors encouraged to create their own garden at home with the aide of a 'Pick and Mix' seed bar in the kitchen. 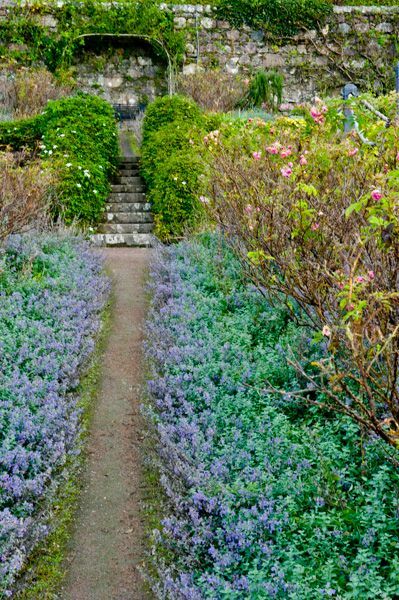 Visiting Inverewe is an experience not to be forgotten, even if you are not an avid gardener. 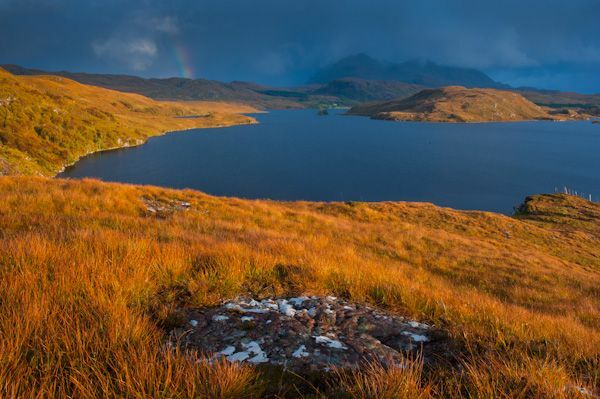 To see so many rare and exotic plants, with a backdrop of dramatic Wester Ross scenery, is something you won't forget in a hurry. I was fortunate enough to visit on a sunny day in early October when the blue waters of the loch were still and reflected the mature trees planted by Mackenzie. The combination was amazing. 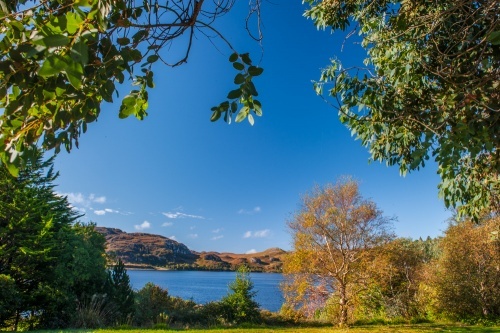 There are really two sections to Inverewe; the walled garden, close to the visitor centre, and the woodland beyond, where winding paths lead among towering trees, down to the lochside. Even in dry weather there can be muddy patches on the paths, so I strongly recommend good waterproof footwear. If you fancy a closer experience of the wonderful scenery at Inverewe, there are several waymarked trails around the estate, well outside the bounds of the garden itself. I particularly enjoyed the circular trail that leads from near the garden to Loch Kernsary. 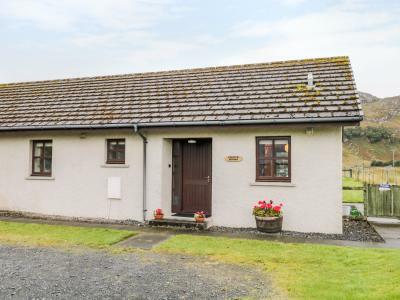 Even if you don't want to get that energetic, I highly recommend Inverewe Gardens; the location is superb, and the wonderful combination of the lush planting and the scenic beauty of the lochside location make it an extremely enjoyable place to visit. 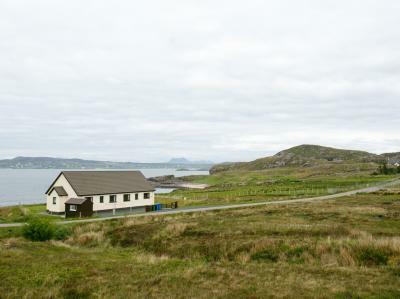 Nearby accommodation is calculated 'as the crow flies' from Inverewe Garden. 'Nearest' may involve a long drive up and down glens or, if you are near the coast, may include a ferry ride! Please check the property map to make sure the location is right for you.